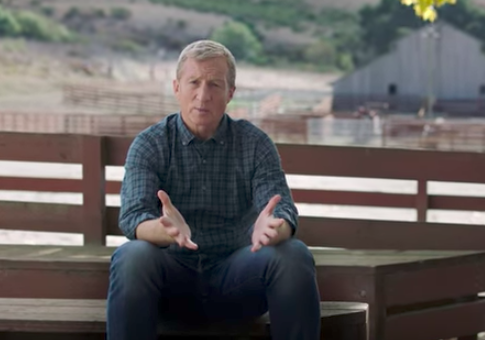 Despite liberal billionaire Tom Steyer's $20 million campaign calling for President Donald Trump to be impeached, a congressional resolution to consider impeachment received just 58 votes, bringing Steyer's bill to $344,827.59 per vote. Steyer's campaign—made up of television ads, two billboard signs in New York City's Time Square, and a website—has been backed by at least $20 million in spending. Steyer has insisted on doubling down on the movement to impeach despite the suggestions of Democratic leaders such as Rep. Nancy Pelosi (Calif.), who called the movement to impeach Trump a "distraction." The impact of Steyer's campaign was put to the test on Wednesday when Rep. Al Green (D., Texas) introduced articles of impeachment and the House voted overwhelmingly to kill the resolution. Just 58 members of the 435 member body voted against killing Green's resolution. There were 364 members—including 126 Democrats—who voted to table Green's resolution. This is not the first time Steyer has unsuccessfully piled money into a political effort. Steyer was the biggest individual spender in 2016 and was labeled the "biggest loser" of the election cycle as Democrats were dealt major defeats across the board. A majority of the candidates he directly supported through his political groups were defeated. Democratic leadership released a statement criticizing the decision to introduce articles of impeachment on Wednesday, arguing that investigations into the Trump campaign should be allowed to continue. "Now is not the time to consider articles of impeachment," said a statement by Pelosi and House minority whip Steny Hoyer (Md. ), who both voted to kill Green's resolution and said they didn't even bother to whip votes against Green's resolution. "Right now, congressional committees continue to be deeply engaged in investigations into the President’s actions both before and after his inauguration," the statement said. "The special counsel’s investigation is moving forward as well, and those inquiries should be allowed to continue." Democratic operative David Axelrod has called Steyer's campaign for impeachment a "vanity project." This entry was posted in Politics and tagged Democratic Donors, Donald Trump, Nancy Pelosi, Tom Steyer. Bookmark the permalink.